Just as advisors understand that past performance does not guarantee future returns, Larry Kotlikoff argues Social Security's past success does not indicate its current viability. The Social Security system is in more trouble than Detroit's pension systems, Larry Kotlikoff says. Investment advisors are familiar with the idea that past performance is not indicative of future returns. And so it is in the realm of retirement income, according to financial economist Larry Kotlikoff, who argues that that a Social Security system that has by and large worked should not lead complacent Americans to assume its future viability. That is one of the takeaway points from an online debate last week hosted by the National Academy of Social Insurance (NASI), a Washington, DC –based nonpartisan institute conducting research related to income security. Both Kotlikoff and his opponent, Larry Thompson, a NASI founding board member, agree on the importance of social insurance (Kotlikoff is an academy member). Indeed, Kotlikoff, the maverick Boston University economist who in 2012 sought the presidency on the Internet-based third party Americans Elect platform attests that Social Security represents a majority (55%) of the annual income of households headed by those 65 and older. But Kotlikoff argues that Social Security is in “grave financial trouble,” worse than in 1983 when the Greenspan Commission reformed the system’s finances — indeed, “in worse shape than Detroit’s two pension systems, taken together,” Kotlikoff writes. That is because the system is 32% underfunded, despite its nearly $3 trillion trust fund. “In short, an immediate and permanent 32% hike in the Social Security payroll tax rate (from 12.4% to 16.4%, forever) is needed to pay the existing benefits. Alternatively, an immediate and permanent 23% cut in all OASDI benefits would provide long-term solvency,” Kotlikoff writes. “Its Handbook has 2,728 complex rules, and its Program Operating Manual has thousands of even more complex rules to explain the Handbook’s rules,” he writes. This complexity, together with rising federal income taxes on Social Security benefits (which he attributes to a lack of inflation indexation), contribute to Americans’ confusion about the benefits to which they are entitled and age at which they should take them, thus possibly overestimating their retirement income. 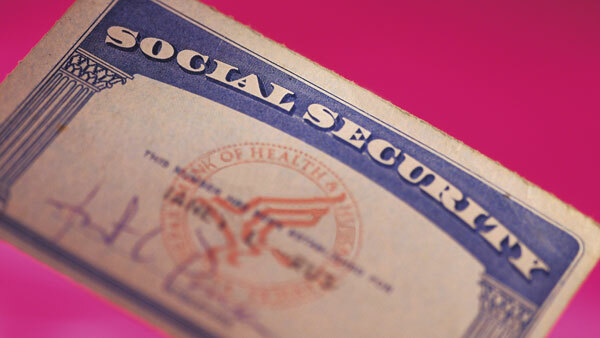 “Thanks to the system’s spousal and survivor benefits, millions of workers pay Social Security taxes year after year and end up with no extra benefits. Indeed, a working spouse can end up with lower benefits than a spouse who never worked,” he adds, referring readers to a more detailed policy proposal he drafted as part of his 2012 campaign. That proposal for replacing the U.S. pay-as-you-go Social Security system with individual contributions financed by mandatory contributions elicited skepticism from Larry Thompson, who argues that even Chile, which takes a similar approach, has recently modified its system away from exclusive reliance on private accounts. Thompson argues that the key distinction between the current system and the one that Kotlikoff proposes is the former’s reliance on labor markets versus the latter’s dependence on capital markets. “The major difference between the two approaches is that one sets pensions with reference to wage levels prevailing at retirement whereas the other establishes retirement incomes based on capital market returns over the course of the working life,” Thompson writes. The NASI board member warns that the cost of transitioning Social Security to a private account system makes such a move impracticable. Reached by ThinkAdvisor, Kotlikoff demurred, arguing that all available evidence suggests Americans won’t voluntarily increase their savings to the extent needed to purchase income security in their retirement years. “My plan forces people to save in the global financial system, but at no cost,” he says noting that the mandated 8% of income he advocates would be managed in a type of index fund whose expenses the government would alone bear. “So I’m not leaving it up to workers to save on their own,” Kotlikoff says. Thompson could not be reached for comment.